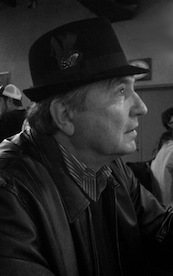 Sugabob, A Bluesman, a new novel by Robert Adamski, is now available for purchase on Amazon.com or through Good Middling Books. A work of historical fiction, the story recounts the life of Robert “Sugabob” Barrett, a mud-in-the-blood Mississippi Delta bluesman who very well may have lived and been forgotten by history. The author and publisher are donating 100% of profits from book sales to various charities. Twenty-five percent of profits will benefit the Blues Foundation’s Raise the Roof Fund, which will help fund the building of the Blues Hall of Fame. Twenty-five percent of the net proceeds will benefit Griot Arts, Inc. in Clarksdale, Mississippi to promote their children’s music education program. Twenty-five percent of profits will benefit the Kiwanis Eliminate Campaign to help eradicate maternal and neonatal tetanus, which kills 60,000 infants each year in undeveloped countries. The remaining twenty-five percent of net proceeds will go to the Cape Coral Municipal Charter School Foundation in Lee County, Florida for the betterment of the music program in their middle school. “This is our chance to put our social consciousness into practice. We did not invent the idea of donating book profits to charity; though it is very rare to see an author or publisher donate all profits to organizations. We have almost no overhead, and we see this as a chance to give back in a significant way,” says Adamski. Sugabob, A Bluesman details the bluesman’s journey as he earns his way off the plantation with his unique self-taught blues style, only to be betrayed at the end of his career. Help comes from a likely source, in the form of a blues-loving lawyer, as well as unlikely sources, including the ancient black arts. Those in search of a compelling story rich in the history and culture of blues music and Delta life will enjoy this thrilling tale of human truth. Robert Adamski was inspired to write the story after immersing himself in the culture and history of the Mississippi Delta and the blues music that is created there. Though Adamski is an attorney who practices law in Southwest Florida, he considers Clarksdale, Mississippi his second home. “My wife and I discovered Clarksdale several years ago. It is the birthplace of the blues and a place where blues music is alive and well in authentic juke joints.,” says Robert Adamski. “We fell in love with the history and the warm people. Much of what happened in the Delta affected broader American culture, and I felt that I just had to write a book about it. The book can be purchased on Amazon.com or send a check or money order for $22.53 (includes tax and S&H) to Good Middling Books, 1714 Cape Coral Parkway East, Cape Coral, FL 33904. All copies will be autographed by the author and personalized by buyer request. Adamski will also be appearing in-person for a launch book signing at the iconic Cat Head delta music and folk art store in Clarksdale, Mississippi on November 16, 2013. Robert C. Adamski is an attorney and partner at Burandt, Adamski, & Feichthaler P.L., a firm which offers a broad range of quality legal advice and services, probate, trusts, wills and estates, real estate, business, litigation and mediation. Adamski has practiced Inheritance Law in Lee County since 1979, and he is a member of the elder law, trust and estate law, real estate law, and tax law sections of the Florida Bar. He is a frequent speaker at estate planning and elder law seminars. Adamski is also the author of the book, INHERITANCE HIJACKERS: Who Wants to Steal Your Inheritance and How to Protect It, which is available on Amazon. com.